Invisalign is a series of clear aligners that straighten your teeth over a period of months. 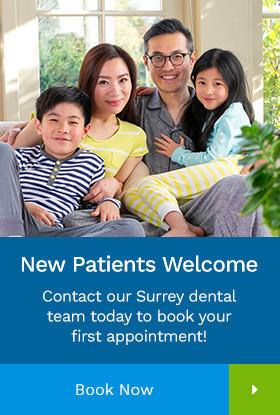 Our Surrey dentists explain why Invisalign Teen is a great choice for adolescent patients. First things first: what is Invisalign, and how does it work? Invisalign is a series of removable, clear plastic aligners that are a more understated alternative to traditional metal braces. Each aligner is worn for about two weeks, after which it is switched out for the next aligner. Each aligner in the series is shaped slightly differently, and is custom made to fit your teeth during it's position in the treatment lineup. Each aligner is responsible for a small adjustment to the position of your teeth. When treatment is complete, your teeth will have been moved into their new, straightened positions. Invisalign aligners are made of a clear plastic, and this makes it difficult for others to see that you are wearing them. They are ideal for teenagers and adults who are concerned about aesthetics and prefer a more understated look than traditional metal braces can provide. Since the aligners are also removable, you can take them out to eat, and to brush and floss your teeth. This allows you to continue these daily routines as you always have, with very few adjustments. Invisalign Teen features a few additional components that standard Invisalign does not have. These components were developed with the needs of teenagers in mind, in an effort to make it easier for them to comply with their treatment schedule, and to accommodate their growing smiles. Invisalign Teen aligners have compliance indicators in the form of small blue dots that fade away after two weeks of wear. On average, teenage patients tend to be less compliant to their prescribed treatment than adults. They are far likelier to take their aligners out, and to leave them out for longer periods of time than prescribed as well. This can make it difficult for them to keep track of how much longer they need to wear a given set of aligners. The compliance indicators will only fade after the aligners have been worn for two weeks altogether, making it easier for teens to get back on track with their orthodontic treatment. 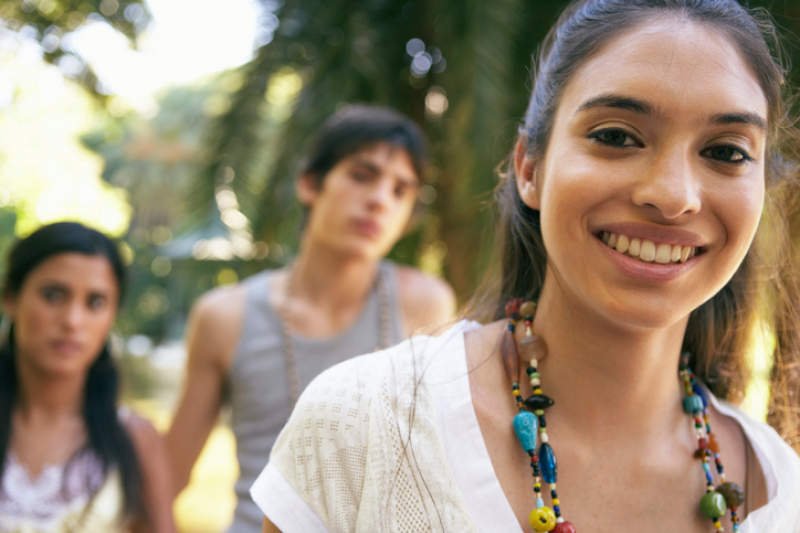 Invisalign teen is unique in that it can be prescribed for teens whose adult teeth are still growing in. This is thanks to the addition of special eruption tabs. These eruption tabs are essentially spaces in the Invisalign Teen aligners that allow the teeth to erupt through. As mentioned above, teenage patients tend to take their aligners out more frequently, and leave them out for longer periods of time as well. For this reason, they are also more likely to misplace or damage their aligners. To help keep treatment on track, Invisalign Teen comes with 6 replacement aligners so that treatment can stay on track. You can count on our general dentists to help you achieve the straight, even smile you've been dreaming of.